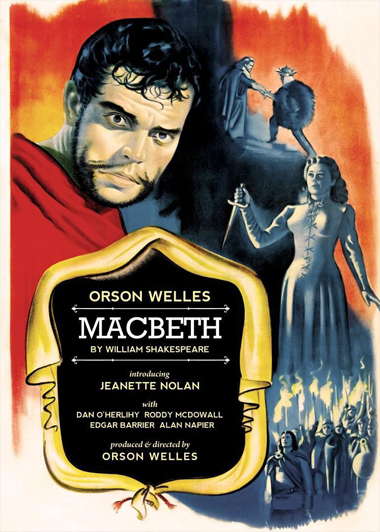 Guión: Orson Welles (Obra: William Shakespeare). Reparto: Orson Welles, Jeanette Nolan, Dan O'Herlihy, Roddy McDowall, Edgar Barrier. Género: Drama | Edad Media. Siglo XI. MÁS INFORMACIÓN SOBRE EL FUNCIONAMIENTO DEL DESPACHO DE BILLETES Y DE LOS ACCESOS A LOS ESPECTÁCULOS ORGANIZADOS POR LA CONCELLERÍA DE CULTURA EN EL AUDITORIO MUNICIPAL DO CONCEDO EN EL SIGUIENTE ENLACE.